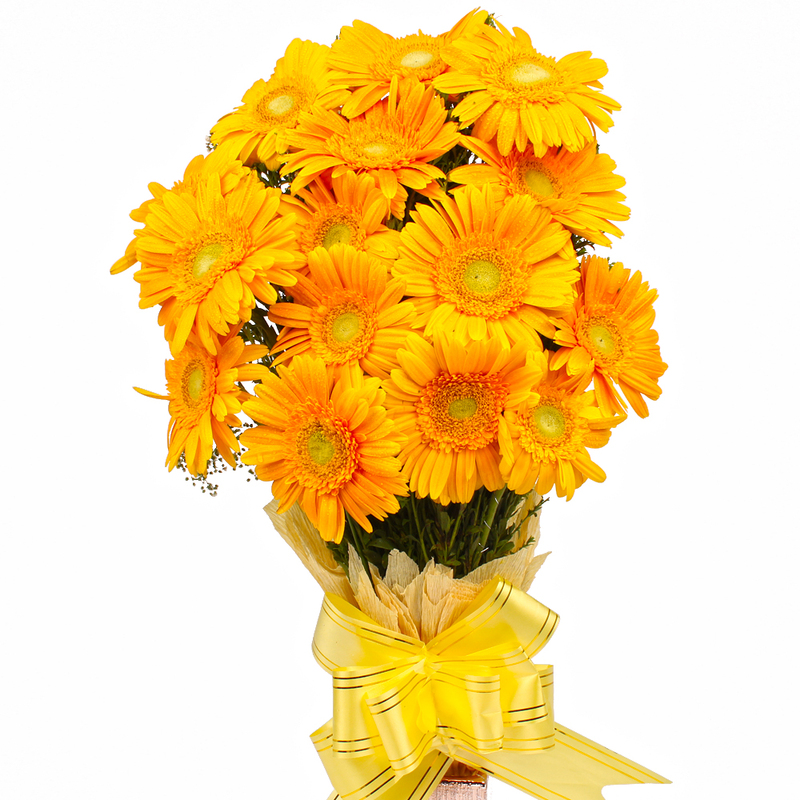 Product Consist : 15 Yellow Color Gerberas with green fillers in Tissue Wrapping with Ribbon Bow on it. 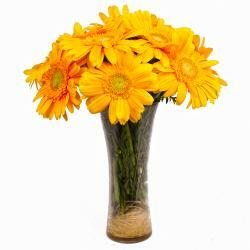 This lovely bunch of fifteen Yellow Color Gerberas should definitely be on your shopping list this festive season. 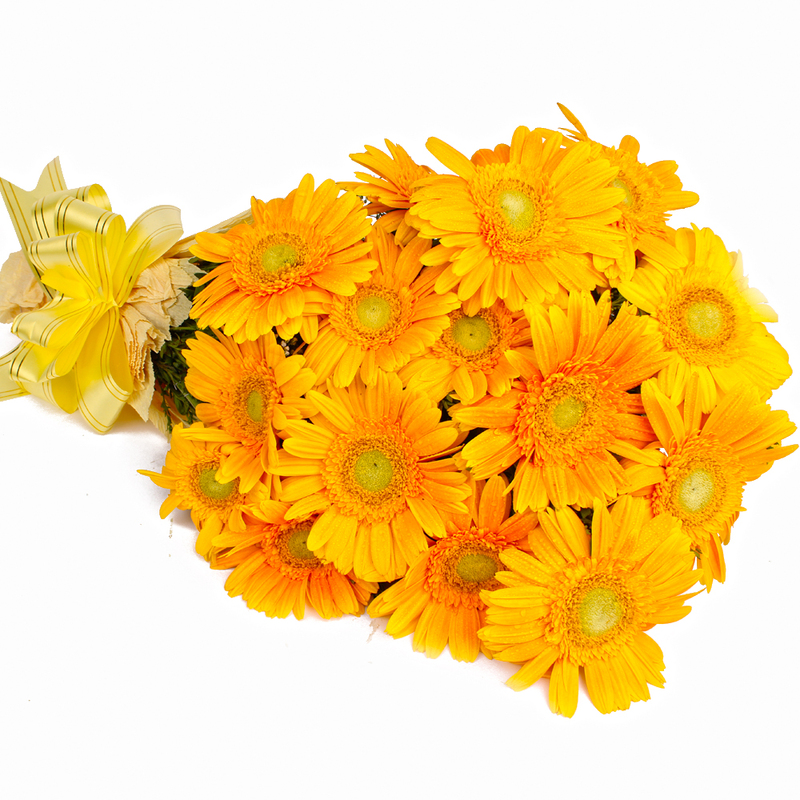 This bunch looks really cute and tempting in its shade of Yellow gerberas and promises to be the perfect acquisition for many an occasion. 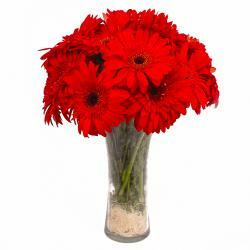 Apart from Diwali, Navratri, Karwa Chauth, Children Day, you can use this as the perfect gifting option when it comes to birthdays and anniversaries. 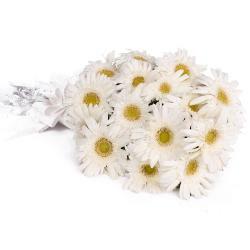 This bunch has been delightfully packed in tissue paper coupled with a matching ribbon bow on top for added effect. 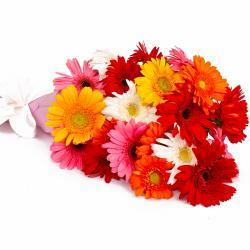 Product contains : 15 Yellow Color Gerberas with green fillers in Tissue Wrapping with Ribbon Bow on it.